At the age of 11, Giselle Yeong has a big dream, that is to open up her own dance academy one day. 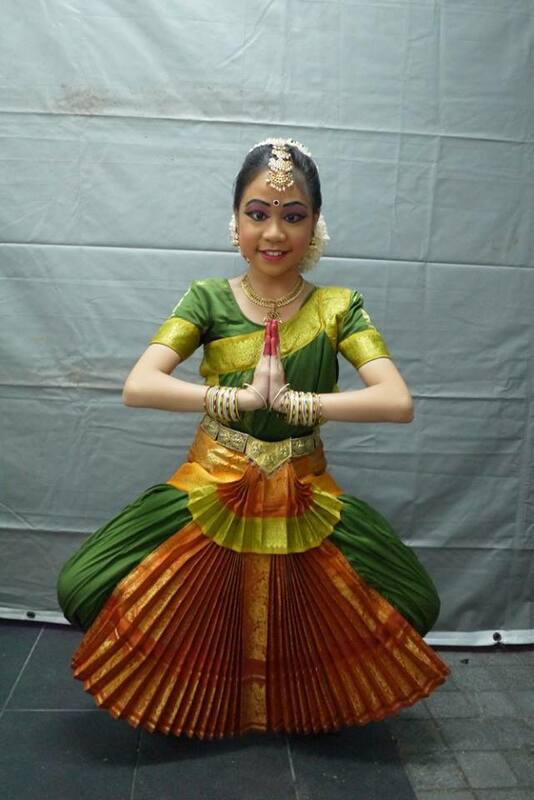 As a Chinese girl that learn and perform Bharatanatyam dance, Giselle is indeed a special and inspirational little dancer. 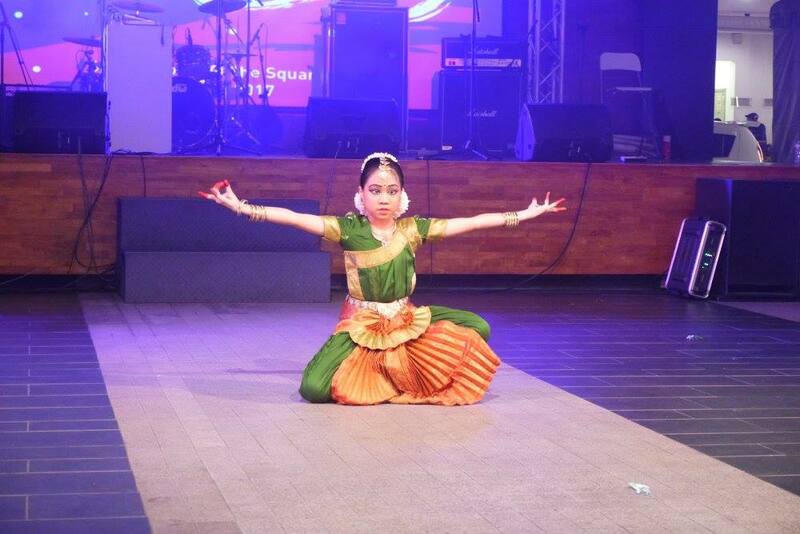 We were glad to witness Giselle Yeong's performance at The Square, Publika on the night of Merdeka Day. The little girl's dance was truly inspirational and heart touching. There, we have seen many supporters and fans of Giselle cherish for her wonderful performance. Fortunately us, we also had chance to interview her. Scroll down to read more on her story. Giselle was forced by the parents to learn ballet at age 3. Although it was many Chinese girls' choice but Giselle was not happy. One day, she saw an Indian dancing poster and fell in love with the pretty costume and jewelry. 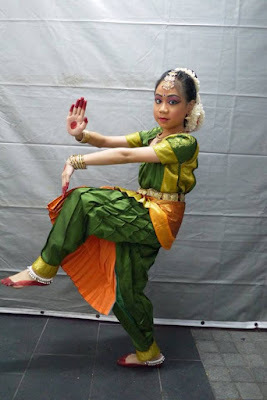 She beg her mum to let her learn Bharatanatyam. As a traditional Chinese mother, her mum was hesitate but she finally let Giselle learn Indian dance under her persistant request. 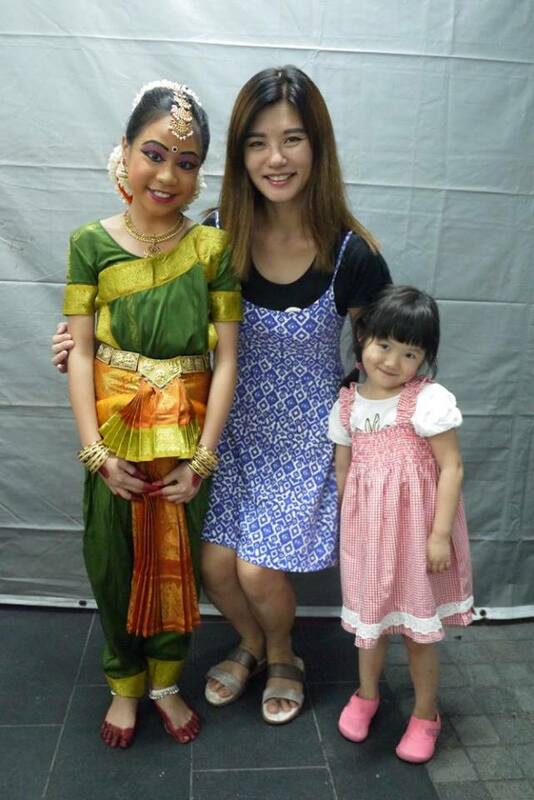 To her mum's surprise, Giselle really fell in love and work hard to learn the Indian dance. Despite many critics at the first half year, their persistency has proved that Giselle can dance better than many locals. She has proved that she is capable and started to perform in public since then. Bharatanatyam Dancer dance on bare foot. Despite having big blister on her foot, she will still smile and perform her best to her audience. She is dare to challenge herself by more difficult and longer song' dancing. Giselle is happy to made her parents proud. As a mother of two girls, I am enlighten by Giselle. This should be the way a kids growing up, by doing the things that their like rather than playing games and gadgets at home. Kids should really go out and explore more so that they become a person with big ambitions. For those who have missed Giselle's performance, you could watch it by clicking to play the video below. 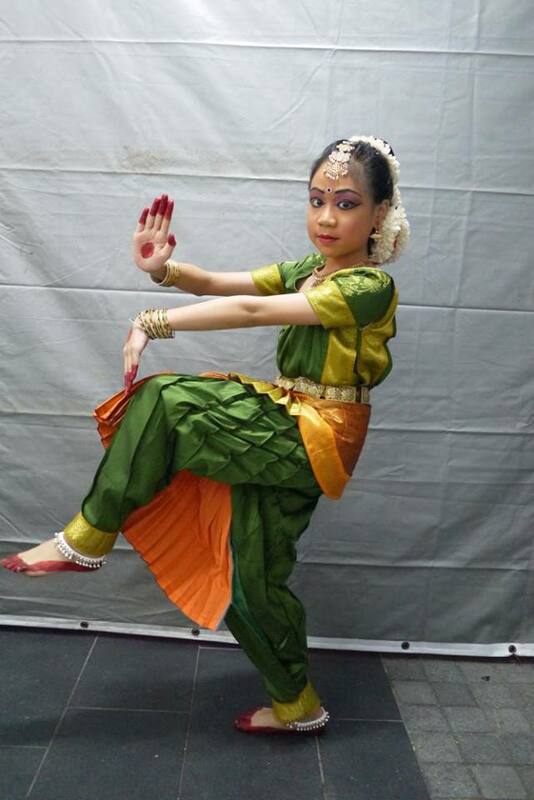 Giselle will be performing again at Publika during Deepavali festival. Mark your calendar to support and see her performance.